For Whom Was This Article Written? Wallet Si, Dove Pan No! 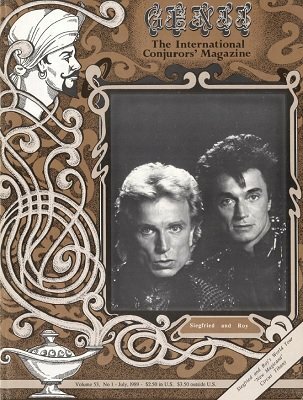 Some random, Biased, irreverent, opinionated, comments on Magic from Jerry Andrus at the "Castle of Chaos"
Acupressure - Jerry Andrus at the "Castle of Chaos"
Cover - Magic Castle Juniors: where are they now?